Pizza Paradiso chef/owner Paris Nabavi and Habitat for Humanity Maui Executive Director Sherri Dodson, collaborating to help support disaster recovery efforts. Courtesy photo. 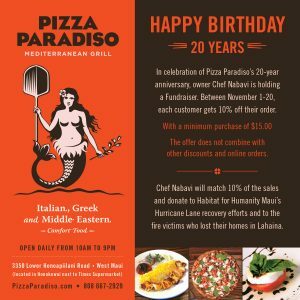 In celebration of Pizza Paradiso’s 20th anniversary, owner and executive chef Paris Nabavi has donated $4,000 to Habitat for Humanity Maui’s Hurricane Lane recovery efforts and those who lost their homes during the Lāhainā fires in August. 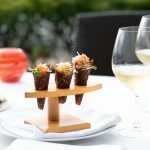 For 20 days in November, guests received a 10% discount and Chef Nabavi provided a matching 10%. Pizza Paradiso has been serving West Maui with its award-winning pizza and Mediterranean fare for two decades. 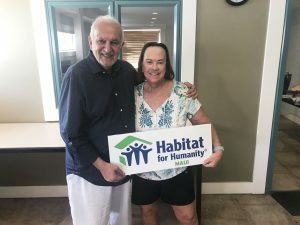 In the midst of an office move and renovation, Habitat for Humanity Maui Executive Director Sherri Dodson was able to receive the donation from Chef Nabavi in late December. 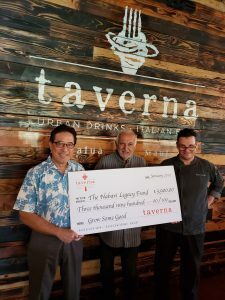 The longtime chef created The Nabavi Legacy Fund several years ago, with a mission to support programs that nourish the minds and bodies of Maui’s children. 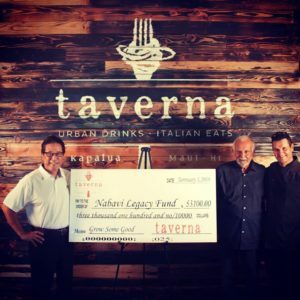 As Maui restaurateurs, foodies, and parents, Nabavi and his wife Donna have a particular interest in educating kids to eat healthy, make sustainable food choices, and develop a lifelong love of learning – all while having fun. To achieve this, they have pledged ongoing support to local non-profits whose work aligns with the Fund’s mission. 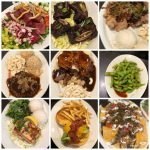 Pizza Paradiso, located at 3350 Lower Honoapi‘ilani Highway in Honokōwai, has won multiple awards for its healthy, fast, and affordable Mediterranean comfort food. The eatery is open from 10 a.m. to 9 p.m. daily. Explore the menu and learn more at Pizza Paradiso’s website.